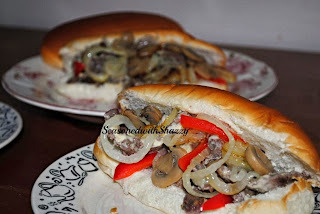 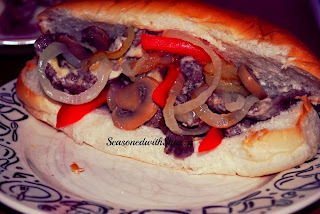 Philly Cheese Steak is really easy to make, its juicy and mild cheesy. 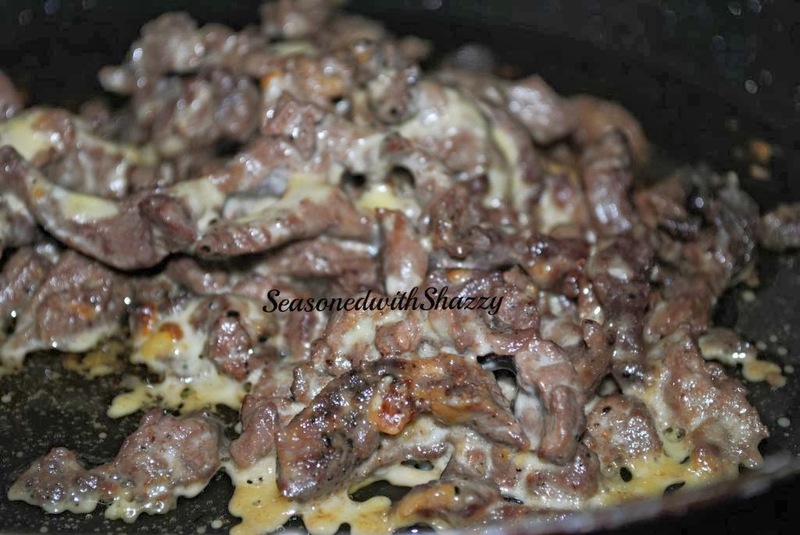 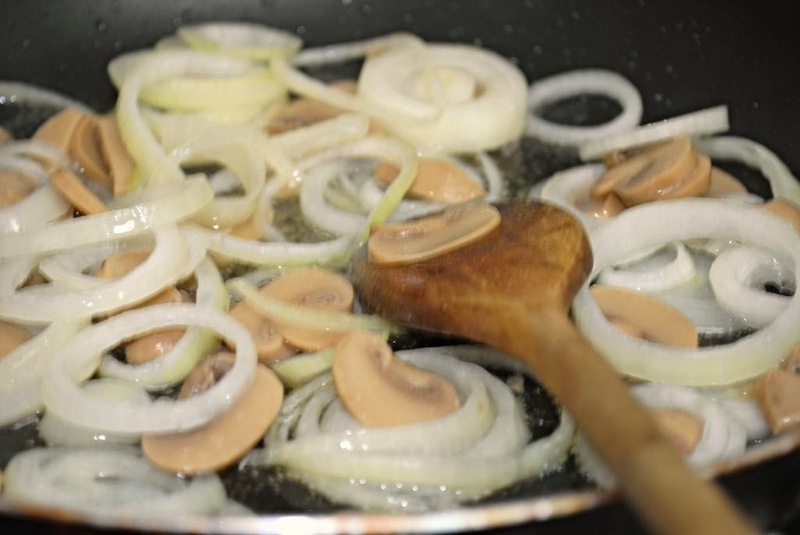 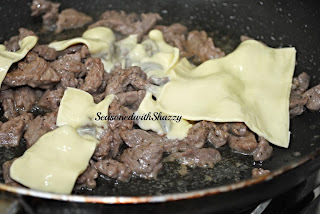 Heap cooked meat mixture in a long length-wise pile across the frying pan, Lay cheese slices over meat until melted. 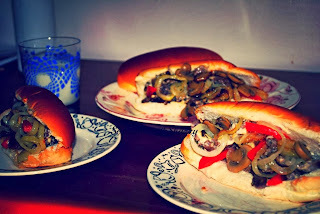 Slice bread lengthwise. Using a spatula, scoop 1/2 the meat mixture and cheese and lay on bread with cheese on top. 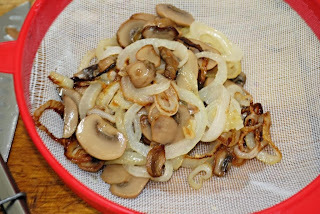 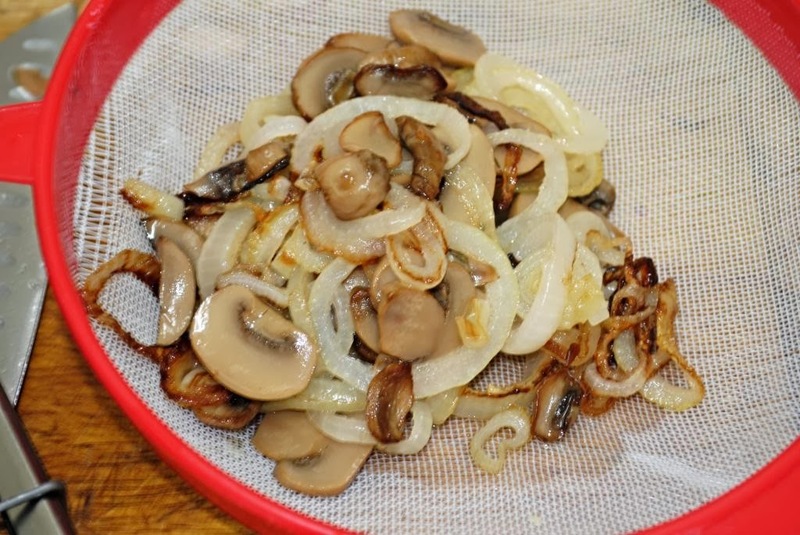 Slice sandwich into 2 or 4 pieces, and serve with a dill pickle.